The new President of the Philippines continues to attract international media attention. 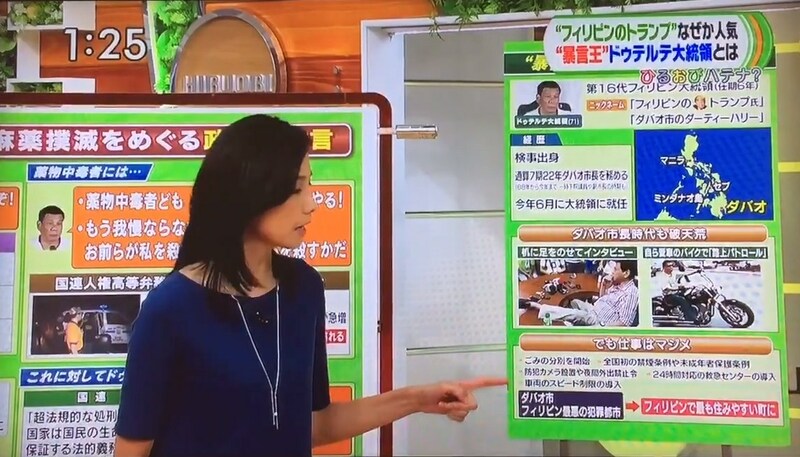 Just recently, a TV show in Japan featured Philippine President Rody Duterte. In a video upload by Marjorie Mendoza, a Filipino currently based in Japan, a panel of Japanese nationals can be seen giving their insights of the Filipino President. 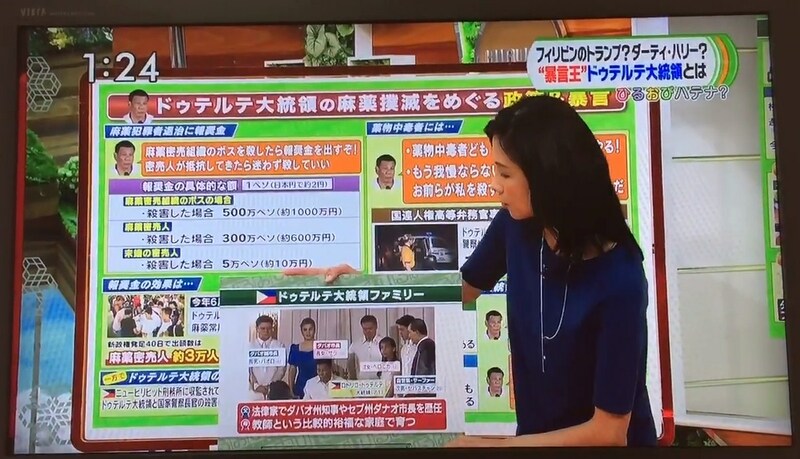 She also revealed that almost everyday, Duterte is featured either on newscasts or talk shows likes this. The panel was speaking in Japanese and the video didn't have any subtitles, so we asked Marjorie to translate the conversation for us and fortunately, she obliged. Marjorie narrated that the panel was talking about the controversial remarks that Duterte recently gave. A range of issues were being discussed and each member of the panel gives his or her opinion about each issue. The first issue was they think Duterte has a penchant for swearing. One panelist, apparently a lawyer, explained that the swearing isn't really meant to slander, but more of a mere expression. Just like how other people use 'f_ck' or 'dam_' freely. They talked about Duterte's family background- her mother being a public school teacher and his father as a lawyer. 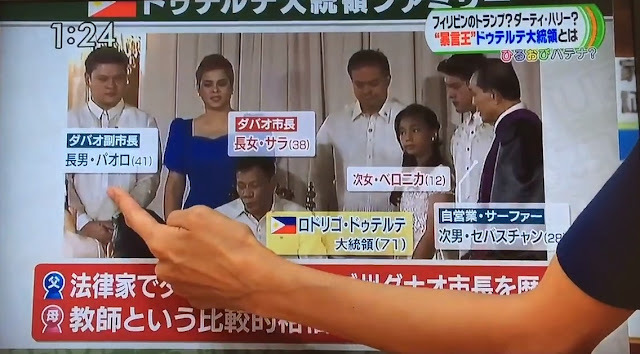 Inday Sara Duterte, Paolo, Baste and Veronica were also mentioned on the show. The female host was demonstrating what Duterte has done as the mayor of Davao City. She cited Duterte's accomplishments in the aspect of peace and order, economic and job generation. She specifically cited how Duterte transformed the once dirty and lawless city into what Davao is now. A premier city with a safe environment and an economic powerhouse. She also noted about the city's Central 911 and other policies that made a very significant impact on the lives of the people of Davao. 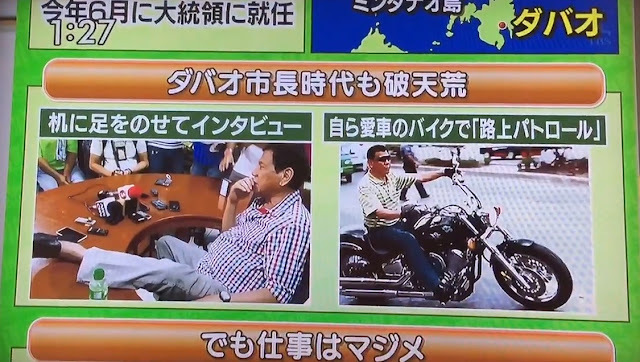 They have also talked about this particular instance where Duterte is seen placing his feet on top of a desk. 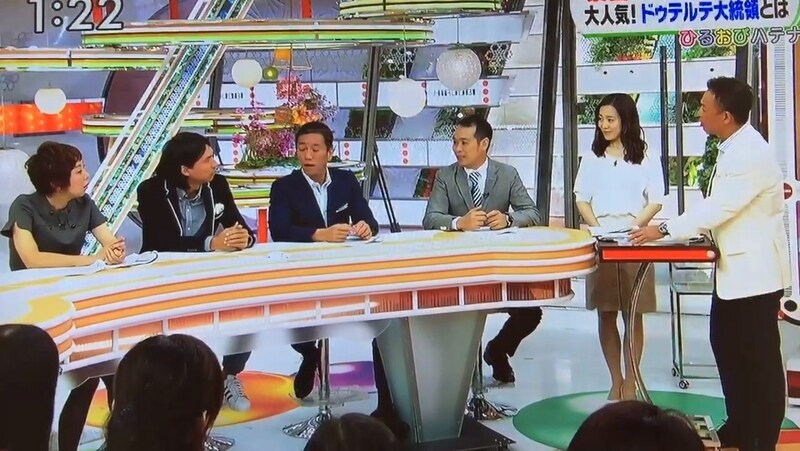 One member of the panel said that's so unbecoming, but another member was also quick to correct him saying that he was only showing to the media that he wasn't wearing socks at that time. They recalled how Duterte used to ride his Harley-Davidson bike during nights to patrol the streets of Davao City. They said they find it amusing and praised him for his dedication to serve his people. 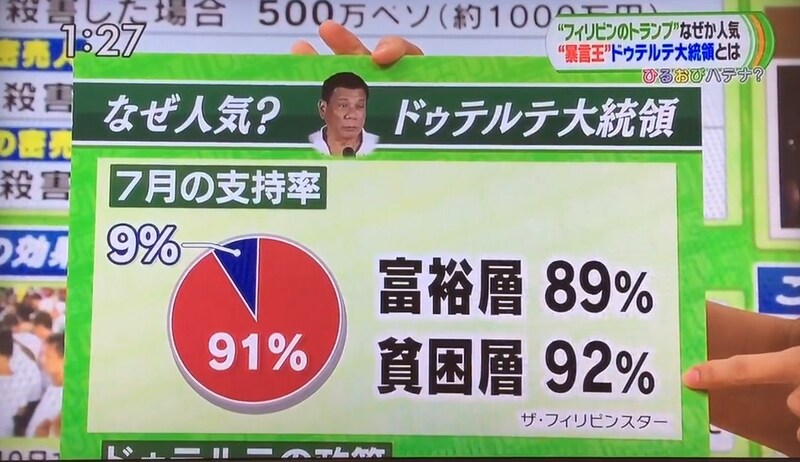 They have also mentioned the honest taxi drivers in Davao City and that he's a very popular President with a 91% trust rating. 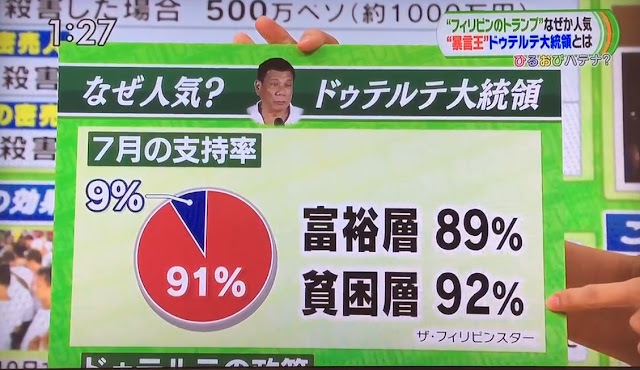 At the end, the panel recognized that Duterte has a penchant for cussing, but described him as a 'Sugoi' President which literally means great or awesome in English.